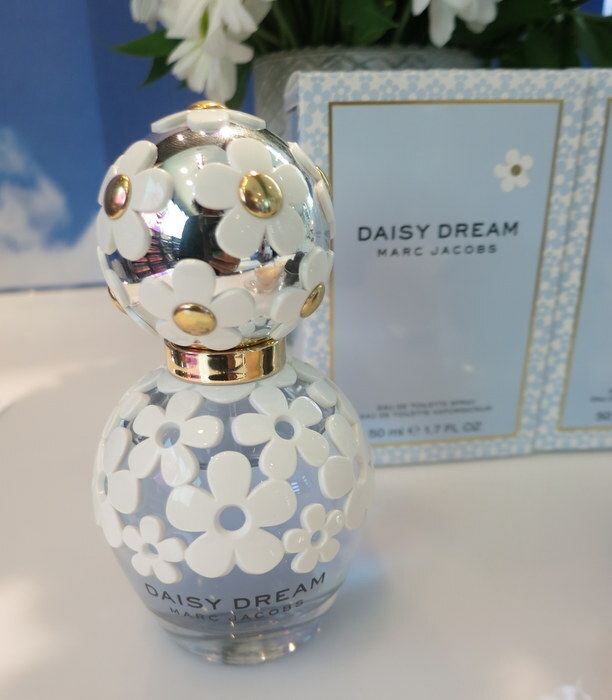 I was invited to attend a beautiful launch for the newest member of the Marc Jacob’s Daisy fragrance family- Daisy Dream. This light, airy fragrance is packaged in a gorgeous bottle with a lace daisy pattern. To celebrate philosophy’s newest launch, becoming loveswept, they’ve launched a cute 6 part mini series about love! Each episode profles different couples. Every Monday until March 24th, a new episode of heart-warming stories of love will be posted to their Facebook page. Wanna try it out? 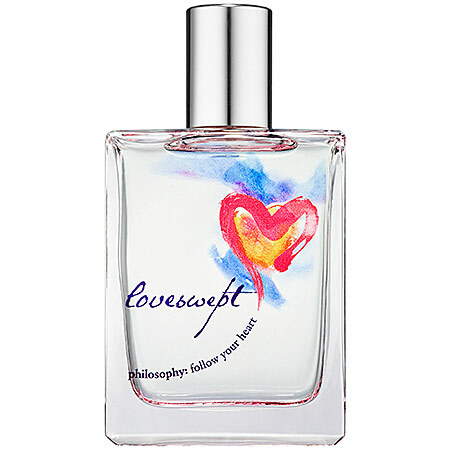 Sephora is offering you the opportunity to experience the new loveswept fragrance with a complimentary deluxe sized sample of this soft floral fragrance! Visit your local Sephora. (one per customer while quantities last; not available in québec). 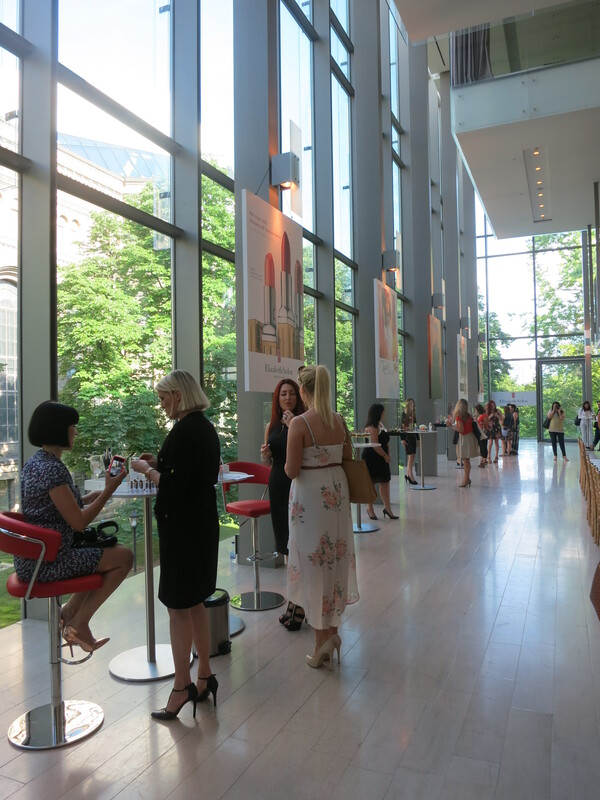 On a warm summer day, I was invited to a perfume event by Elizabeth Arden at the lovely Royal Conservatory of Music. 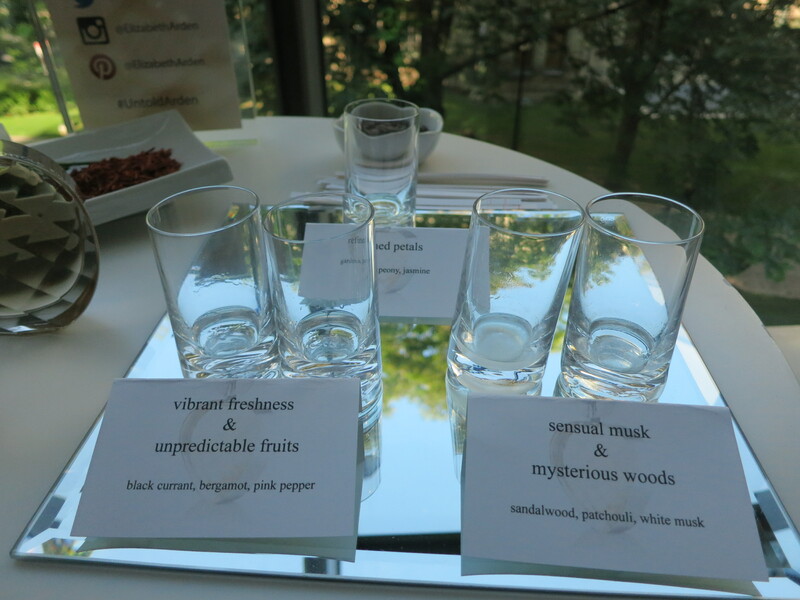 The event gave everyone a chance to experience new perfumes of the summer! Hands down, my favourite perfume was the sensual Viva La Juicy Noir. Noir is a limited time edition, and it’s a little darker than Viva La Juicy. The notes of this perfume were broken down for us to experience. 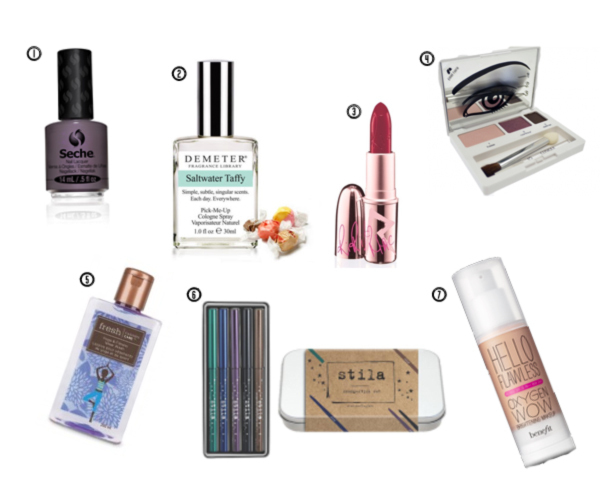 The perfume contains some of my favourite scents. The top notes contain fresh wild berries, mandarin and mara strawberry. 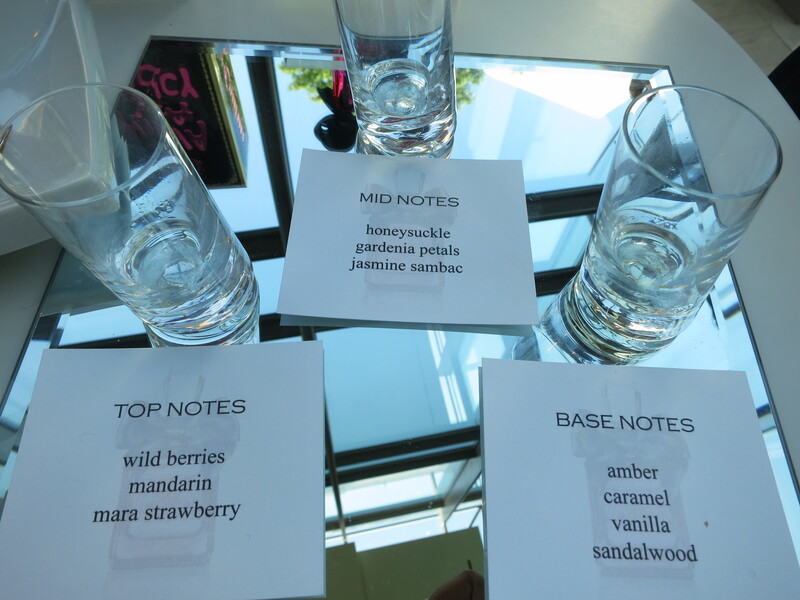 The lasting base notes consist of amber, caramel, vanilla and sandalwood. 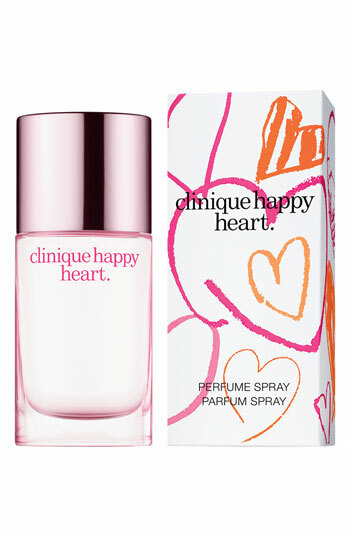 This scent is perfect for a summer date, don’t you think? The real star of the show was Untold, the first perfume to be launched by Elizabeth Arden in over two decades. 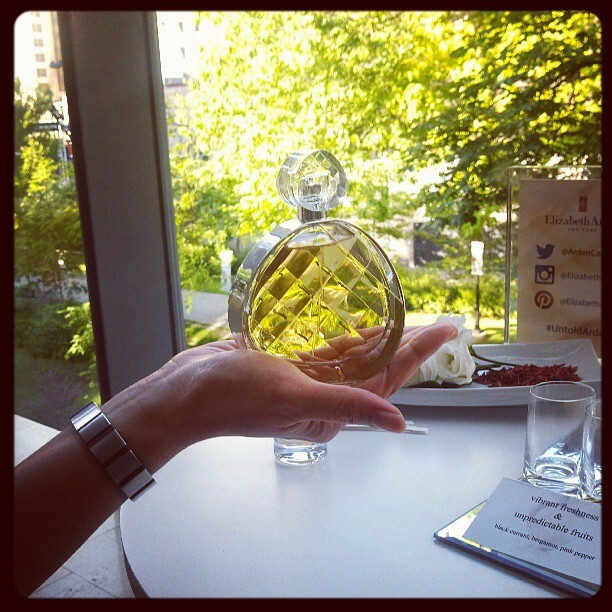 Elizabeth Arden brought the perfume creator all the way from France to discuss the perfume with us. He shared how he wanted to layer the many sides of a woman in one perfume. Mysterious, feminine and sensuality were key when creating this scent. Untold is a floral, musky scent with unique fruity notes such as pink pepper and bergamont. The multi faceted bottle is truly unique and looks beautiful in the sunlight. You’ll be able to find this fragrance in stores starting in August.